In the first part, we discuss about creating separate databases for every client. Now the problem is that these databases are empty and we need to fill them with some basic data + schema. The problem of creating this in the site code, is when you update your schema, you will have to manually update all the databases. This can be extremely tedious and difficult to achieve. Thus to solve this problem, we assume our DB is empty. Then we create our version 1 of the schema and save it as db/1.sql. This will be our base i.e. when the user first visits the client’s site, it will run this SQL to create the require schema. Next version will be 2.sql (which may add/drop tables etc.) and so on. In our app configuration file, we will add a variable (somewhere at the top) and set it to the latest schema version. 1. The site code only creates the DB. It does not populate the DB with any data/schema. 2. When the client visits the app for the first time, $dbversion is 0, so 1.sql is executed. 4. When the app is run the next time, it will check if the SQL dbversion is lower than $currentdbversion; if yes, it will run all the SQL files till it reaches the latest version. 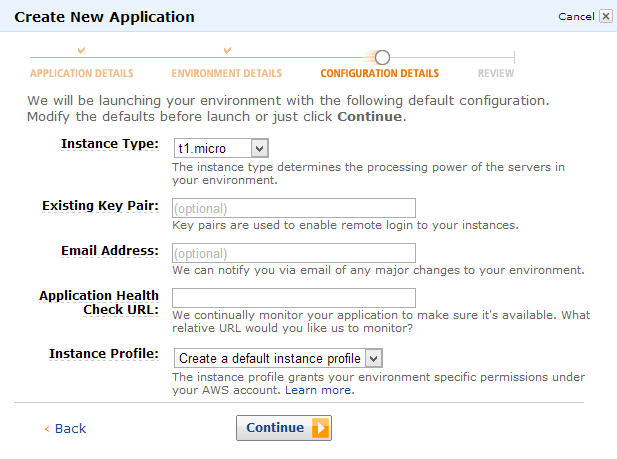 Hosting on Amazon’s Elastic Beanstalk is fairly simple. Enter a URL for your app; I have used “mydummyapp”. t1.micro is sufficient to begin with and will keep your costs low. Select it and then proceed with creation. 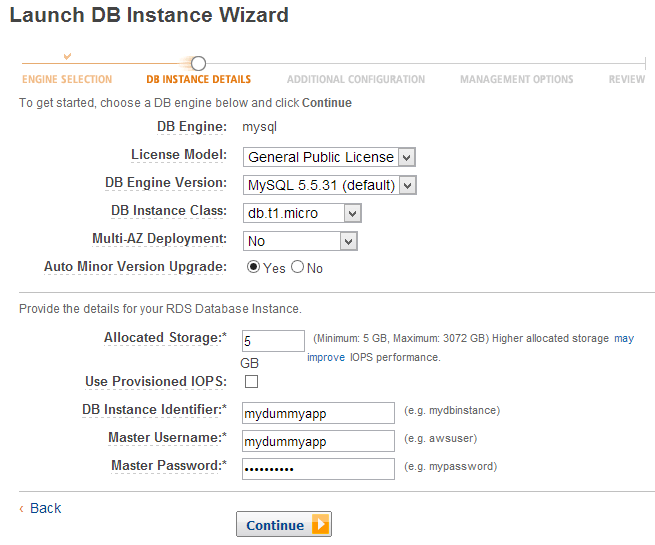 Go to “RDS”, “Launch new DB instance” and then create a new instance. Create a DB for your site (which will be used to store all clients info). 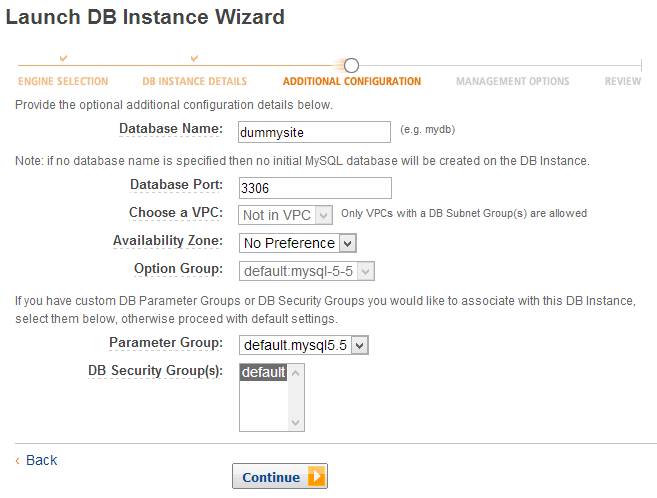 The client specific DBs will be created on the fly (in the same instance). Once completed, add the connection details to your app and test if the connection is working fine. If you are unable to connect, then edit the “default” Security Group and add “CIDR/IP: 0.0.0.0/0”. This will allow you to connect to the instance from any IP. Later, you can modify this to only certain IPs. 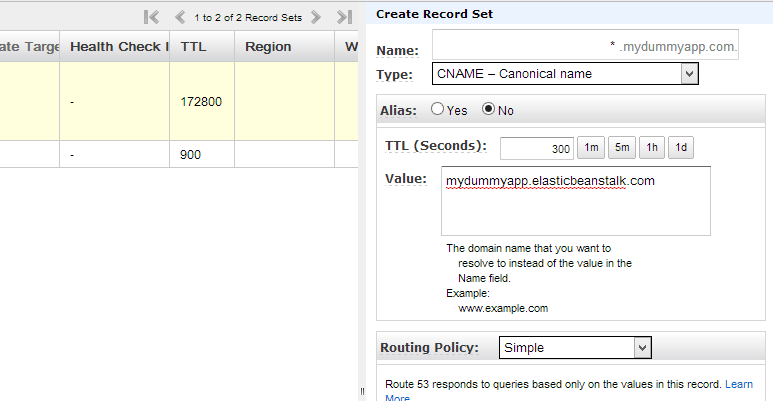 Go to “Route 53” and “Create Hosted Zone” and enter your domain URL. Then double click on the listing and then “Create Record Set”. Finally, update your nameservers to point to those mentioned by Amazon. 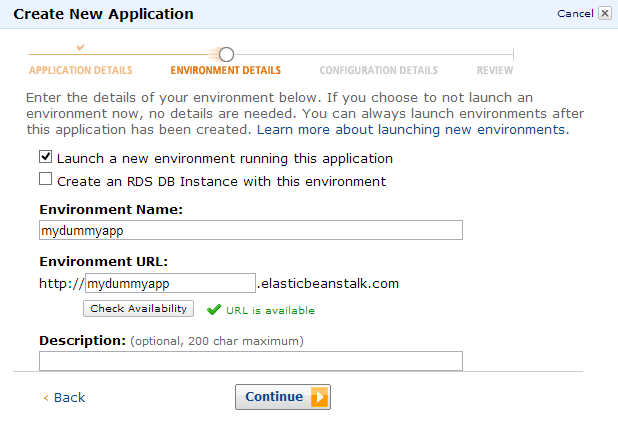 Once this is done, you can visit http://mydummyapp.elasticbeanstalk.com and check your app. You can use any third-party host like Asmallorange or RackSpace to host your SaaS site. 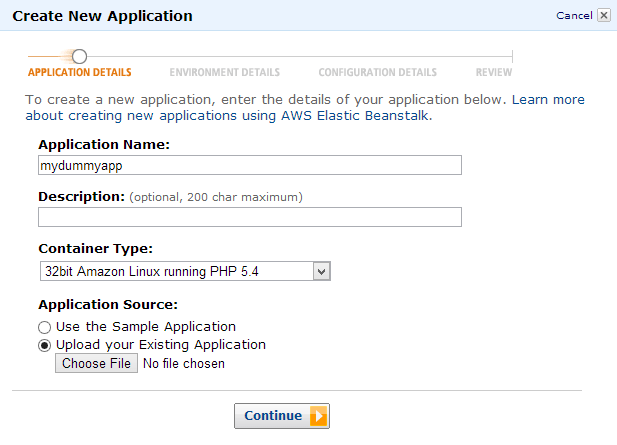 You do not need to use Amazon Beanstalk to host your SaaS site. That’s all folks! Now you have successfully setup your server (Beanstalk), your DBs (RDS) and your DNS (Route 53). You should be now ready to start testing your app along with your site. We have achieved a lot using this tutorial (and part 1). We have setup our app, site and have configured Amazon’s services to host our app. In the next part, we will talk about scaling and other tips & tricks. Loved reading the first part and also the DB versioning part now. Looking forward to the third post in the series. Great tutorial. Can you give me a hint how to scale the webservice most effective? Can you tell me how much the amazon costs for this sample app you described in previous part 1, so i can host my app in amazon ws. Really Very good tutorial have u ever tried created a saas application in windows azure? Help me with some tutorial on creating a saas application in Azure. Very informative post, Please come up with 3rd post. when is the 3rd part arriving? Was there ever a third part to this tutorial? And do you have to use Amazon to provision the databases and sites? Thank you! Very nice read. Looking forward the third part of this tutorial.